Our two-bedroom suite, with adjoining parlor, offers the elegance and luxury of the rest of the house, with the added benefit of providing more privacy, separate entrances and more amenities. This is our largest guest room and boasts a kitchenette, two private bedrooms and a private bath. Extras in this suite are a refrigerator with ice machine, coffee maker, an ironing board and iron. There is an entrance to this suite through the main house and a private entrance from the courtyard. The Plantation Bedroom is the largest connected to the suite. 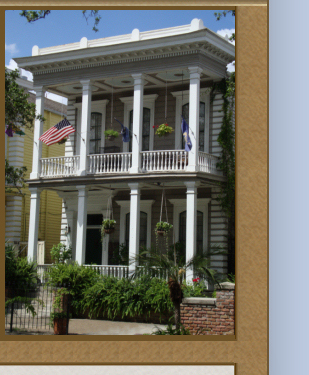 It is full of family heirlooms and is named for the Queen Size plantation style bed that dominates the room. This room has a second private entrance that opens onto the gallery overlooking the courtyard. Prior to the Civil War, this now comfortably furnished room served as the slave quarters. The fireplace is in its original austere condition as a reminder of a tumultuous past era. 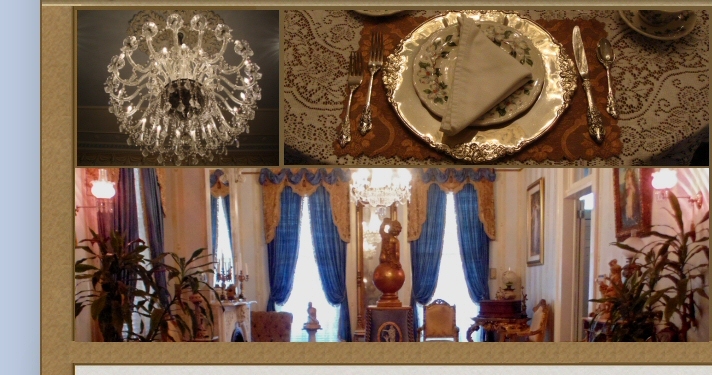 The Victorian bedroom is elegantly furnished in 1890's Renaissance Revival style. The queen size bed boasts a seven foot headboard. A matching chest of drawers, stained glass lamps and lush linens make this room comfortable and homey. The Victorian Era is an eclectic period between the mid and late 19th century, covering the 64 year reign of Queen Victoria. Furniture of the Victorian era was made of dark woods, especially mahogany, rosewood and walnut. Rich colors and strong patterns were especially popular.